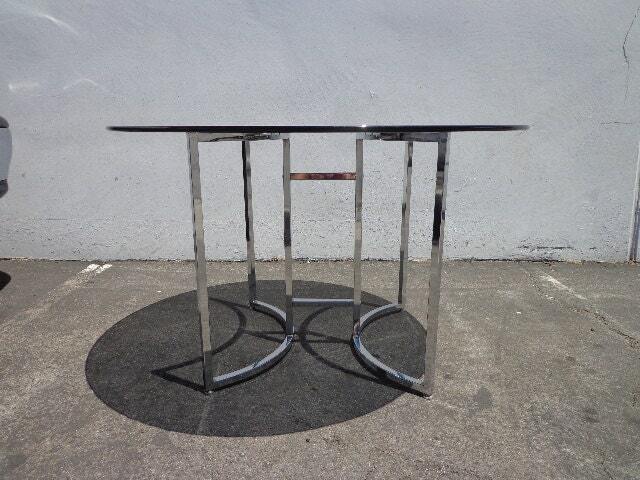 Fabulous mid century Milo Baughman inspired dining table. 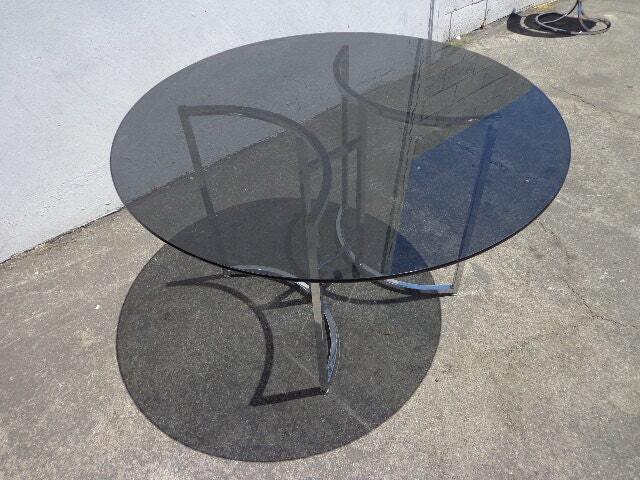 Table top is smoked glass and sits on a chrome table base. The metal surface shows wear and may need some refinishing. 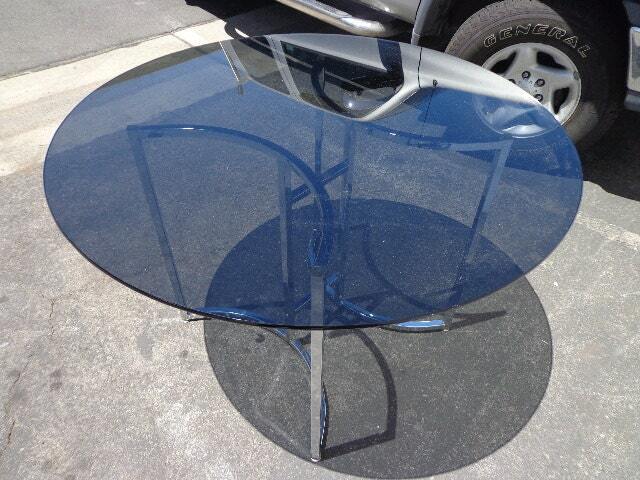 Glass shows some wear. 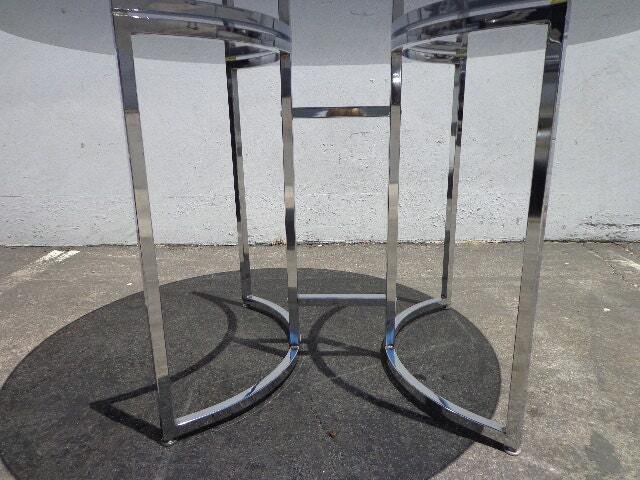 Great set for any space and will blend with any interior from mid-century to modern. 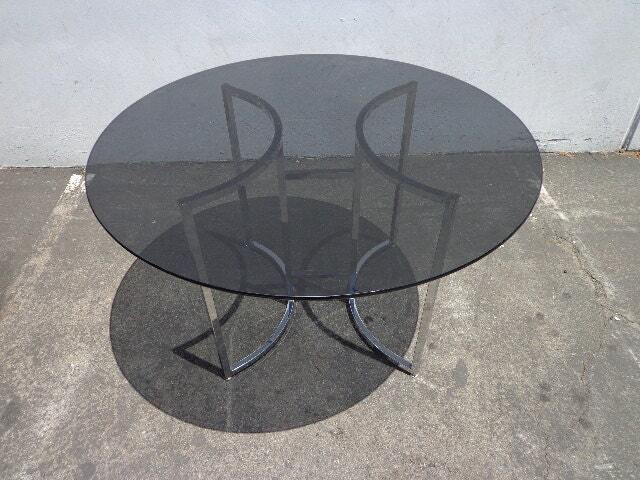 Table - 46" x 29"